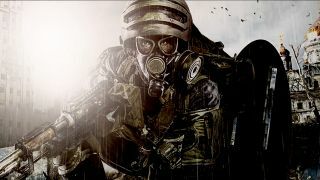 [UPDATE] Deep Silver has issued a statement to say that while it has 'ambitious plans' for the Metro series a new game in 2017 isn't one of them. [ORIGINAL STORY] Looks like we could be getting a new instalment in the Metro series next year if a website for the new book is anything to go by. Metro 2035 is the final book in the series by author Dmitry Glukhosky. It's currently up for pre-order and comes out in December, promising it will "terminate the story of Artyom", its hero. Developer 4A has previously stated it was working on a new Metro game and some sort of story-driven “sandbox-style experience," although it's unclear if these are the same thing. If that date is correct, though, then we should be finding out something pretty soon.